Can our knowledge rest on anything that is simply given in experience? Can we base knowledge on anything secure? This is a topic about everyday conventional knowledge, not nondual knowledge (e.g., “Knowledge = Being”). So this isn’t a topic in which we try to eradicate all belief or cognitive activity. it must be true – all in the conventional sense. Here we will be talking about (b) – how do we justify our knowledge? There is a red ball sitting on the table in front of me. How is our knowledge of that red ball justified or grounded? We often feel that there must be a way to secure our knowledge, even if we can’t put our finger on just how. These questions came up because the other day, someone asked me about Wilfrid Sellars’ “Myth of the Given.” “The Given” is a concept in Western philosophy that’s supposed to indicate a secure foundation for knowledge. The idea is that we find the Givens in experience and then base the rest of our knowledge on them. If we can do this, our knowledge will rest on a secure foundation. 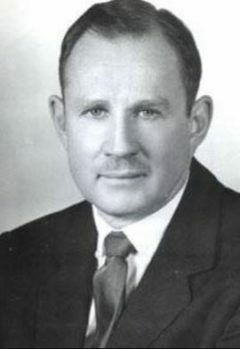 Sellars argued in Empiricism and the Philosophy of Mind (1956) that the Given is a myth, and that the very idea of a Given doesn’t make sense. 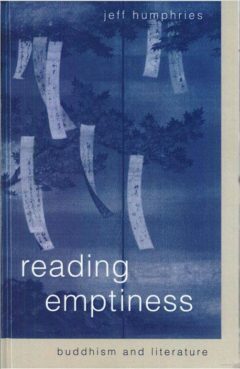 In Emptiness and Joyful Freedom, by Tomas Sander and myself, is basically a long series of challenges to the very idea of Givens and secure foundations. And Chapter 15 is about the Myth of the Given. In this chapter, Tomas and I agree with Sellars. We explain what he means, and we even provide several meditations to deepen our insight that Givens in knowledge can’t be found. One of the most convincing candidates for the Given is sensation. We feel sure that the world of our knowledge is built up from the secure foundation of sensation. We feel that a sensation-statement such as one of the following should serve as a report of a Given in experience. After all, these statements do seem pretty obvious, not prone to error or distortion. They don’t seem to assume anything outside themselves, as long as the right kind of sensation is present. This is a red patch. This looks like a red patch. It looks like there’s a red patch here. In his book Sellars argues that these might be cases of knowledge, but they can’t be cases of Givens, because they depend on a large network of other beliefs. They can’t stand on their own. According to Sellars’ model of knowledge, there are no Givens, and we don’t base knowledge upon anything secure that stands on its own. Rather, we have lots of beliefs that inter-depend and grow together. 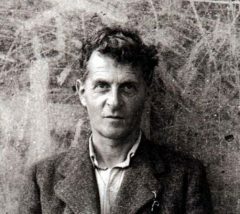 Ludwig Wittgenstein expresses this in a memorable way. This is just like Indra’s Net! What follows is a set of extended quotations from the beginning of our Chapter 15. The target in this chapter is the givenness of sense data. In the way that we usually think about perception and knowledge, certain things like a red patch or a hard texture are taken to be “given” to knowledge. They are taken to be basic, context-free examples of irrefutable knowledge of the world. This knowledge is supposed to serve as the foundation for further instances of knowledge. In this way, our knowledge of the world is built up. So givenness is one hopeful palliative for Cartesian anxiety. We will show how this notion of the Given makes no sense when looked into deeply. 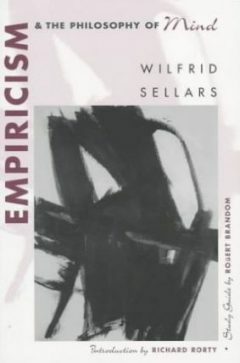 Our approach is inspired by the work of Wilfrid Sellars, especially Empiricism and the Philosophy of Mind (Sellars 1997). Since René Descartes in the seventeenth century, Western philosophy has tried harder and harder to provide a secure foundation for knowledge of the world. The idea of the Given is that it provides such a foundation by guaranteeing that we get at least that part of the world right. How does this happen? According to the dominant Western view of knowledge, our knowledge is divided into two parts: what is given to the mind and what is added by the mind. There are different candidates for givenness, which are given to the mind. Since the Given comes directly from the world, it doesn’t depend on concepts or inference or anything that could turn out to be erroneous. In this way, it guarantees that we get the world right, at least sometimes. If it’s given, it doesn’t qualify as knowledge. If it’s knowledge, it doesn’t qualify as given. I’m not sure I want to read all of this page or understand it. Suddenly I have a taste of not knowing and I know I really like this relief of not knowing.